Keywords are going to be an important process of your search engine optimization efforts. Keywords will always be dependent on the type of website you operate, the type of niche and even your competition. Choosing the right keywords and phrases will be extremely important. Your keywords will determine your website’s traffic and revenue. It doesn’t matter if you’re selling products or services, the more keywords you rank for, the more traffic you’ll bring. 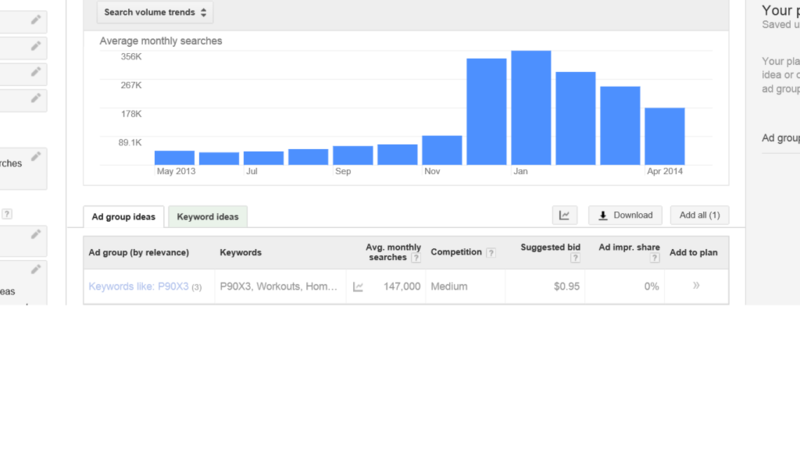 Keywords can easily be searched for with Google Keyword Planner. 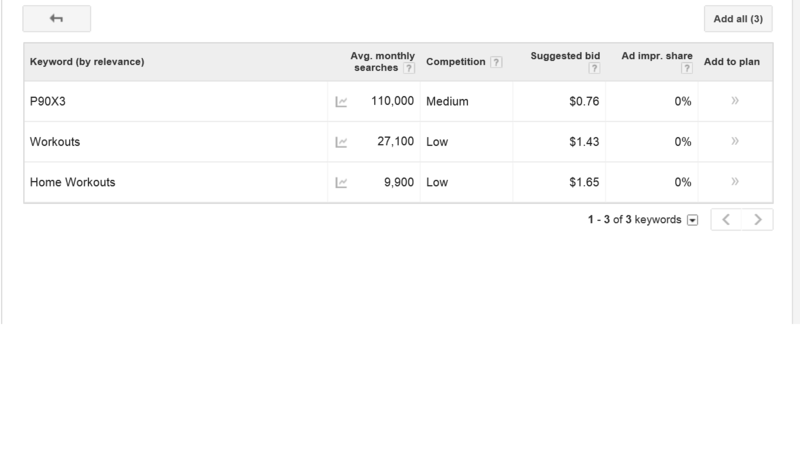 Google Keyword Planner is free to use and displays keywords, the keyword’s search volumes, competition level of the keyword and bids for the keyword if you choose to run a PPC campaign. Before you start your keyword research, you’ll need to know which keywords to search for. This depends on the type of keywords that you need to optimize your website. Since every website has different needs for keywords, you need to use Google Keyword Planner to search for keywords and phrases. Afterward, you need to determine which keywords will be used for your website or blog. First, why do we recommend using Google Keyword Planner? Google search engines control around 68 percent of the world’s searches. No other search engine compares to Google, certainly not Bing and Yahoo. Your keyword ranking efforts should be aimed at ranking for Google, not the other search engines. Google Keyword Planner only includes information from Google searches, important to know. Most websites are classified as follows; (1) Selling Products or (2) Selling Services. Now, if you’re selling products, these products are going to be your keywords. For example only, we’ll say we’re selling products from BeachBody. We’ll say we’re an affiliate. One of their products is P90X3. Since my goal is to sell such products, my keywords will be based with the product name in it. I would search for traffic volumes such as P90X3 workout, P90X3 benefits, P90X3 pros and cons. If you sell products, in order to get traffic to your website for those products, you’ll need to rank keywords with the product brand name. Common sense. Now, continuing our example, we also know that PX903 is a home workout. Based on my experience, I would say that workout or home workout are also high searched keywords. You can also use this technique when looking for keywords. When choosing keywords, think about what the product is for, what the product does. Is there a more common term that describes this product? If you went to Google to search for such products, what would you type in the search field? You can usually find high traffic keywords using this keyword research technique. Most people want to automatically take the highest volume keywords and phrases when choosing keywords. Sounds about right, or is it? Truth be told, in most cases, we do want to use the keyword that has the highest searches. If a keyword is searched for 20,000 times a month, that is 20,000 chances your website could be found. Sure, this is true but if you don’t rank for that keyword, the search volume might as well be zero. High traffic keywords are great but often hard to rank for. On top of that, you may have a specific situation where a less searched keyword better fits your needs. When researching and choosing keywords, you’ll need to determine which keywords best fit your needs. Some keywords are not being searched for. Although the keyword sounds great, if it doesn’t have traffic, you can waste your time trying to rank for it. You should target keywords that are specific and have traffic. It is easier for an established website to rank for a competitive keyword over a new website. It may be best for you to target less competitive keywords with your new website at first. Once you build authority and rankings, you can then target higher competitive keywords with more traffic. Choosing keywords is always important for search engine optimization. Without keyword rankings, you are lost in a sea of millions of websites. You need to think about how your going to grow your search rankings, keyword rankings. Most websites grow their keyword rankings through content, images or videos. There’s a number of different keywords that can be used to help you build traffic and ultimately sales. It will be up to you to determine which keywords to go after.